Fabric: 80% Polyester/20% Cotton Tone on Tone Dobby Stripe. 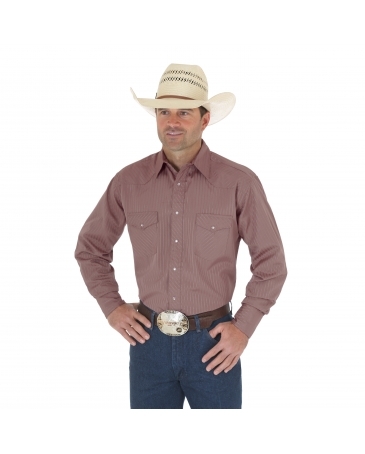 Sport Western Snap Shirt. Long Sleeves. Spread Collar. Authentic Western Front and Back Yokes. Two Authentic Western Spade Shape Flap Pockets. Pencil Slot at Left Pocket Flap. Authentic Three Snap Western Cuffs with Sleeve Placket.